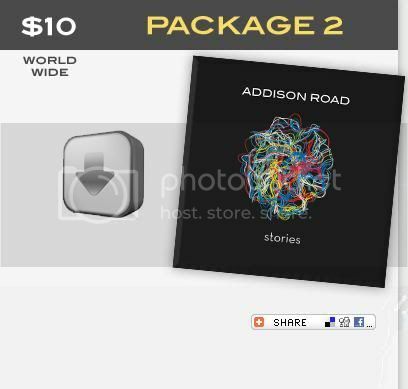 Jay's Musik Blog: Pre-order Addison Road: "Stories"
Addison Road's CD Stories may be coming out June 22nd, 2010, but you can preorder and hear the album today! 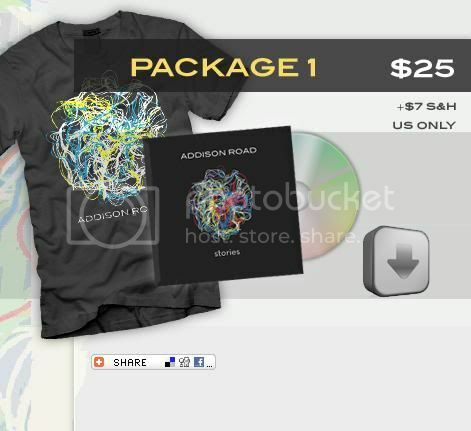 At addisonroad.com, you can pay $25 for a t-shirt, the CD (which you will get June 22nd), and a instant digital download of the entire album! But if $25 is too expensive for you right now, you can do the simple version: pay $10 now. By doing this, you will get an instant download of "Fight Another Day" and the CD on June 22nd. Either way, Stories can be preordered today! Don't wait! Get it at addisonroad.com!